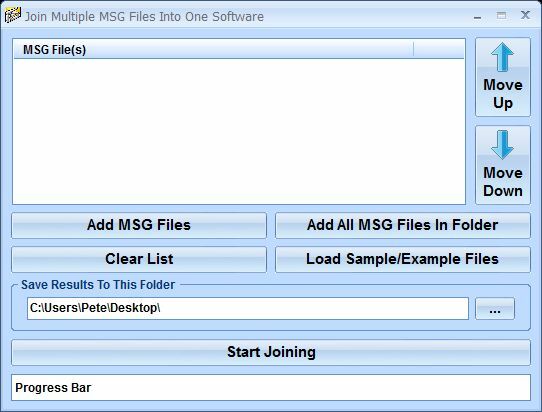 Join Multiple MSG Files Into One Software can join multiple MSG files into one larger file. The user simply chooses the MSG files or an entire folder and the files will be joined in one. This is very handy when you need to keep an entire thread of communication in one document.